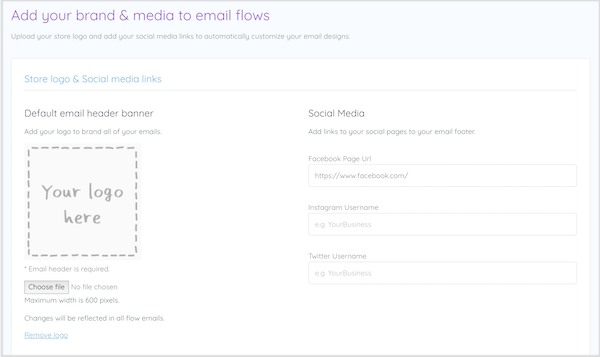 Upload your logo and add social media details to populate in your email flows. The first time you visit the Email Flows section of Marsello, you will be prompted to add your logo and social media links. These details are used to add content to the headers and footers of your flow emails. You can access this information again at any time by clicking Edit Settings on the Email Flows page.